An annual flu vaccination provides you the best protection against flu each winter. Influenza is a highly contagious viral infection that is responsible for major outbreaks of illness around the world, peaking in the winter months. Unlike the common cold, influenza can cause life-threatening illness and dangerous complications such as pneumonia and bronchitis. It is estimated that each year flu contributes to an average of 13,500 hospitalisations and 3,000 deaths among Australians aged over 50 years. 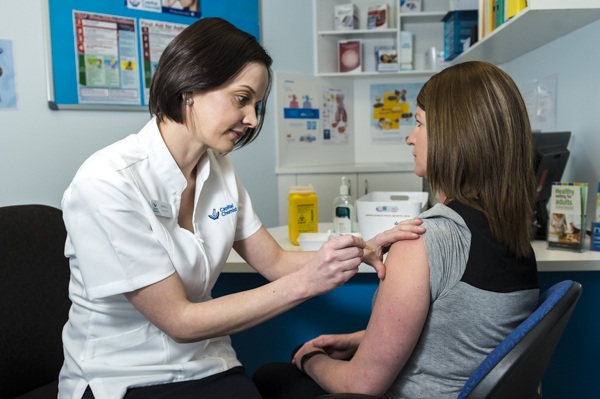 At Capital Chemist we provide a convenient, quick and easy vaccination service in the pharmacy in a private consulting room. It’s easy and convenient, so book your vaccination today (Age restrictions apply. Please contact your Pharmacist).